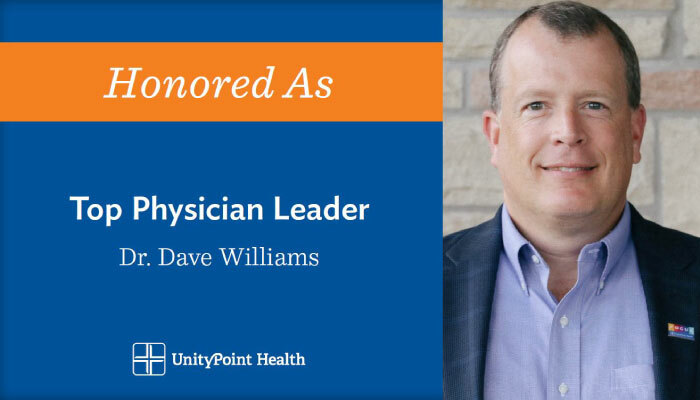 Becker's Hospital Review recently recognized Dr. Dave Williams, President and CEO of UnityPoint Clinic and UnityPoint at Home, as a top physician leader in the 2017 edition of the Physician Leaders of Hospitals and Health Systems list. The CEOs featured on this list have led their institutions through significant growth projects and technology installations, and continue to keep an eye on future development. Becker's Hospital Review has published a version of this list since 2012. This is the second year in a row that Dr. Williams has been named a key leader.